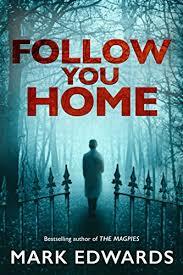 I’m a big fan of psychological thrillers so when I saw Follow You Home highly recommended on Instagram I bought it straight away. For the first half of the book you have no idea what happened to Daniel and Laura while they were on holiday and then the writer starts drip feeding you little snippets, which is what makes this such a page turning read. I was desperate to know what had happened but I resisted the urge to skip to the end. When the truth did come out it was so shocking that it took my breath away. This is definitely not one to read if you’re camping in the woods somewhere! 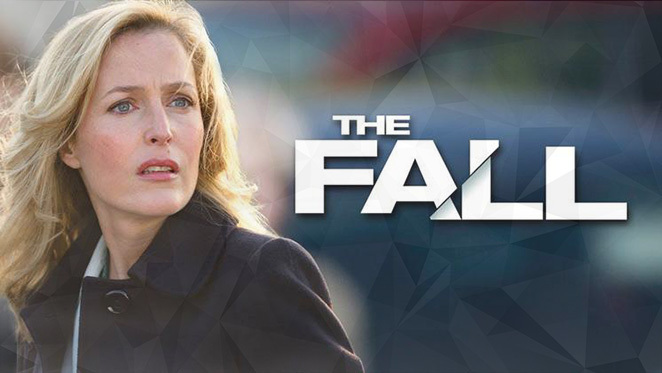 Speaking of psychological thrillers, The Fall series three started yesterday and all I can say without spoiling it for everyone is that it was worth the wait. Bubs came down with croup last night so I spent the night in her room. Thankfully today is an Inset day so she has a long weekend in which to recover. I’ve made progress on my Sunny Stripe blanket. 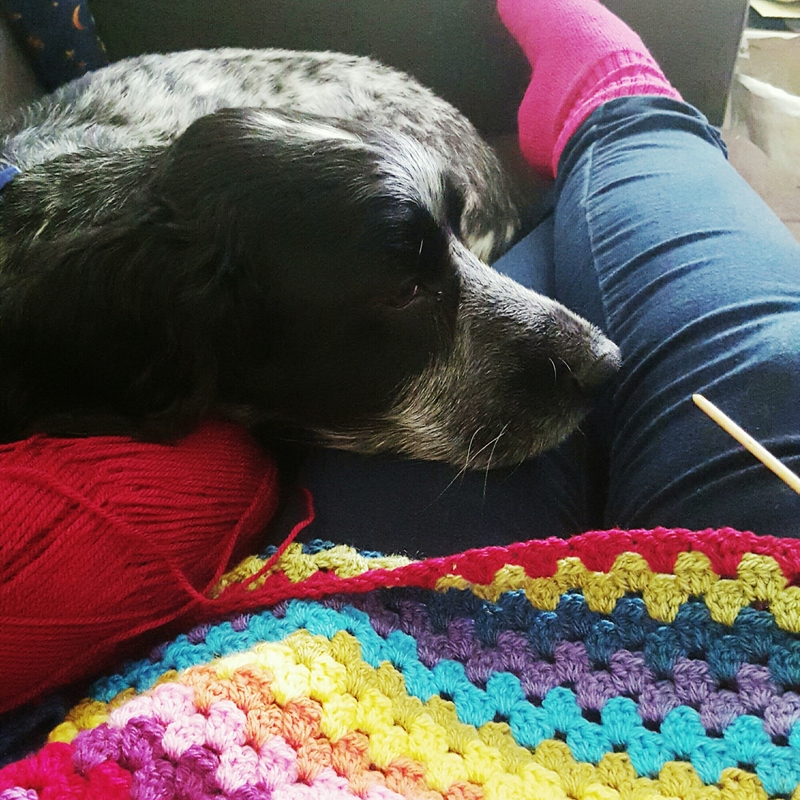 After being confined to the couch for the past two days with a horrible cold I decided to pop a couple of boxsets on, light a candle and cozy up with my crochet. I’ve committed the cardinal sin of wearing my dog walking coat on the school run. It’s about as tatty and stained with muddy paw prints as you can imagine and has at least half a dozen crumpled up poo bags in the pockets, which inevitably fly out when I go rooting around for a tissue. When Bubs was at preschool I never bothered with a coat as I only ever had to make a mad 30 second dash from the car to the door of the preschool, whatever the weather. But now we have a 15 minute wait for the school bus and I only own two coats; the doggy one and a florescent pink pack-a-mac which, lets face it, would be harder to live down. I feel a shopping trip coming on. Any recommendations for affordable, plus sized, coats that aren’t too mumsy? I couldn’t let the week pass by without mentioning Dottie. Isn’t she fabulous! She’s an early birthday present and I’m hoping that we’ll go on lots of adventures together. We’ve already been to the allotment a few times and her basket has come in handy for bringing home harvests. I’m not sure our enormous pumpkin will fit in there though! So happy that you’ve joined in with Little Loves, and what a great first post too! I cant believe that I missed The Fall last night!! I ended up going to bed early and watching Vampire Diaries so the fact The Fall was on completely passed me by. Will have to watch it tonight. The book you’ve mentioned sounds right up my street, I must add to my Amazon wish list. Oh my days, that bike! I am totally in love. 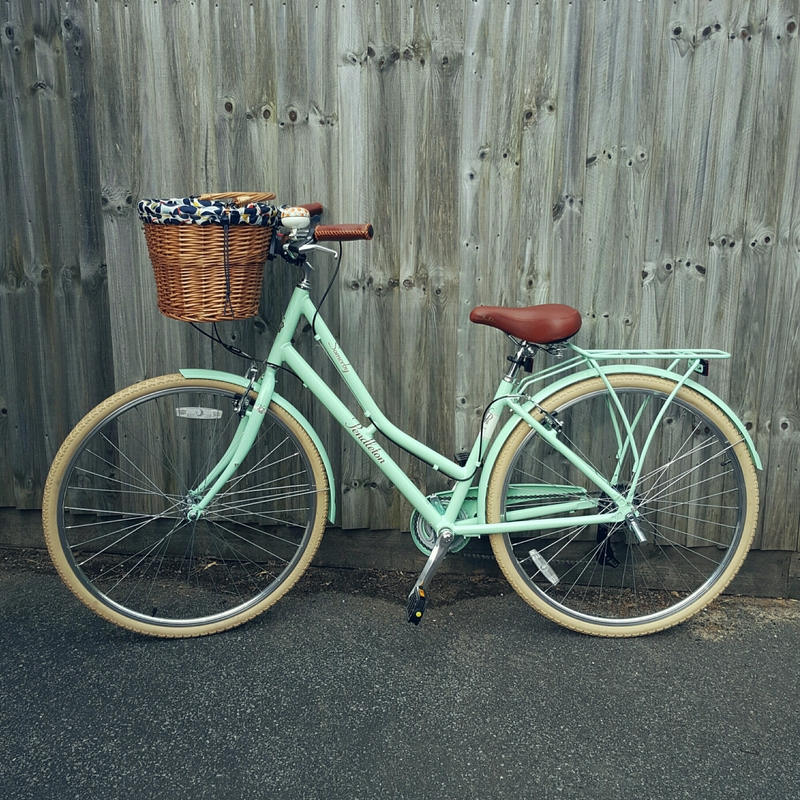 I haven’t ridden a bike for years but now I want to and I want that one. So, so pretty! Oh my, I LOVE your bike! What a lovely birthday present – so stylish. I really like the sound of that book. I’ve nearly finished my current one so need a new read. And yes, couldn’t agree more about The Fall. I had no idea how they would make another series out of the way the last one ended but it’s good!